Model Contract BOOK NOW Studio contract Contact Blog! Ahhhhhhh, smashing cake with babies is like the best thing everrr!! 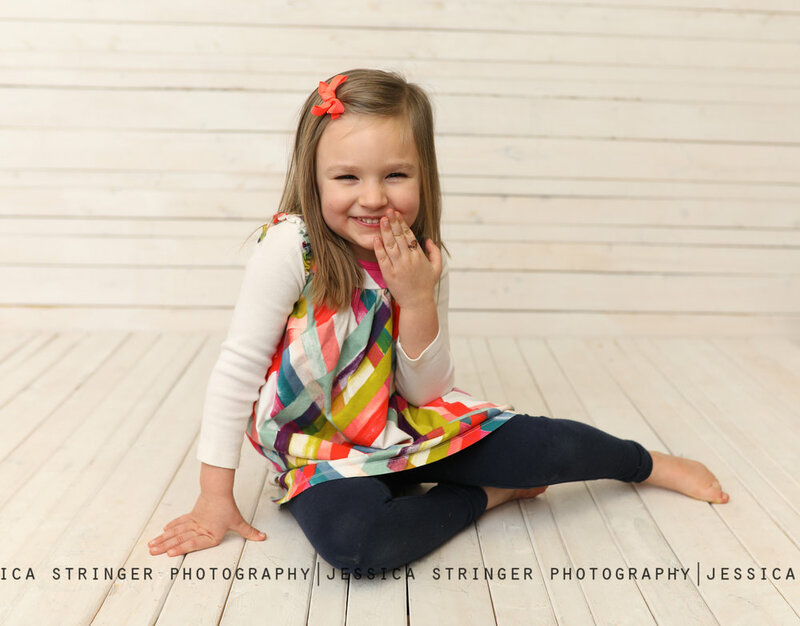 When should I book my childs first birthday session? I normally recommend scheduling their cake smash session for around 11 months. 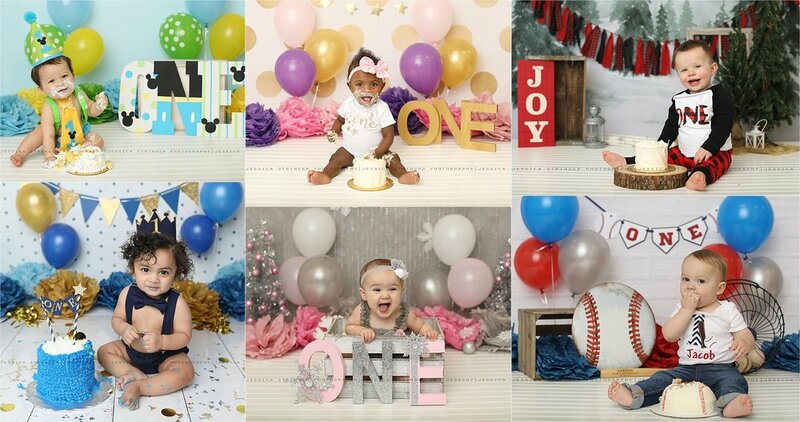 It typically takes me up to 3 weeks to return the photos to you, and that way you will still have time to have them printed and displayed at their first birthday party! A few outfit changes for your little one, i recommend 2 traditional outfits, and one FUN outfit for their cake smash... please let me know what color their cake smash outfit is so i can make a custom set up for the smash photos! Please also bring along, wipes, diapers etc and parents- wear an outfit that you don't mind getting cakey! If you are planning on doing the smash bath, please bring along a towel. What theme should I do? That is 100% up to you! I will provide a set up for simple / non character themes. I do like to go all out with the set ups, and will make it absolutely adorable! PLEASE let me know atleast 2 weeks ahead of the session what theme you plan on doing for the cake smash. If you are still uncertain of a theme, take a look through my photos for inspiration! Do i need to provide the cake? yes! Parents need to bring the cake, I cannot provide the cake for the cake smash due to allergies etc. Do I clean up the mess? 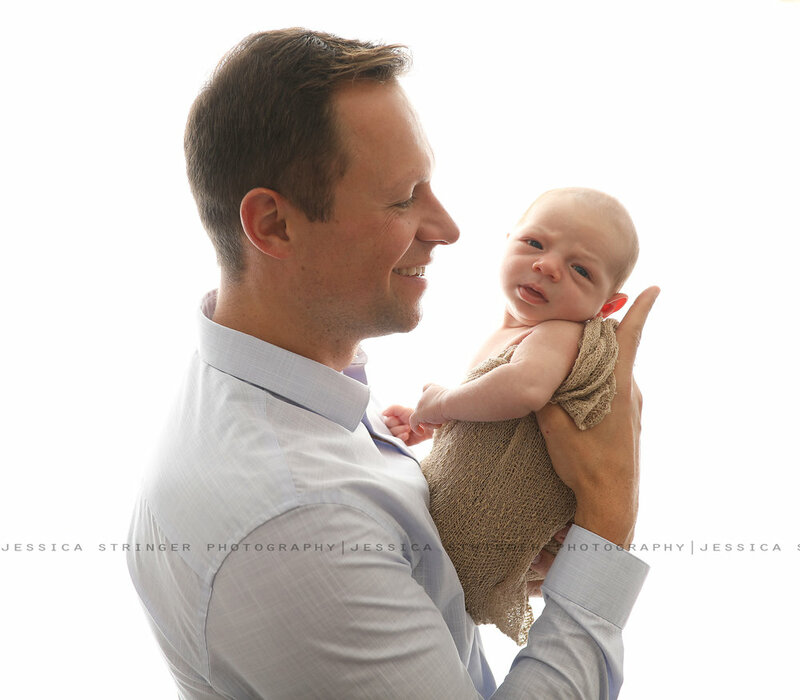 Can i be in a few photos with my baby? Yes, we can absolutely do family photos at the start of the session! 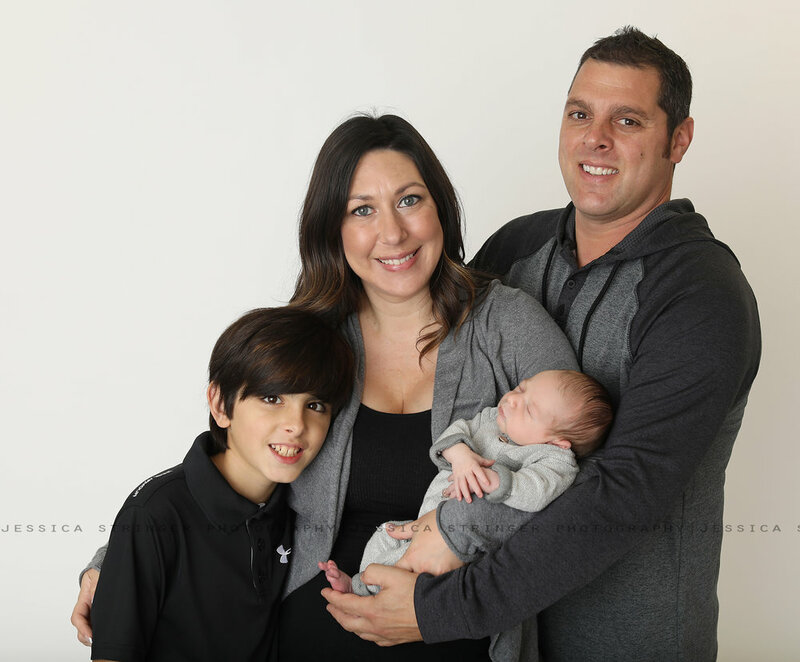 The main focus of the photo session will be baby, but we can definitely do a few quick family photos and sibling photos if you would like. Where can I find a cute cake smash outfit? ETSY! I love love love etsy! 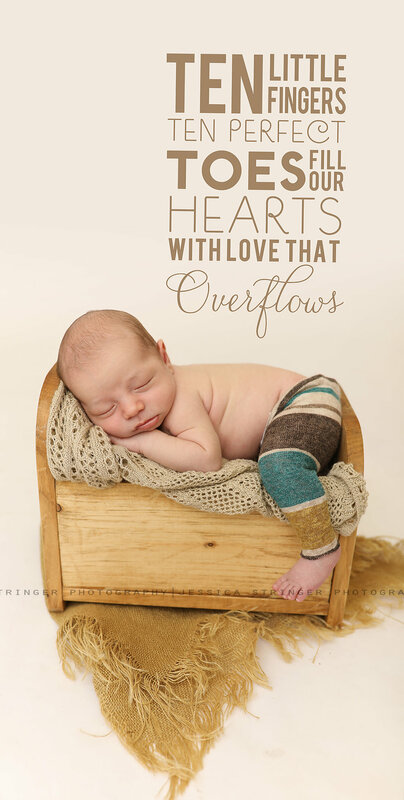 Squishy cheeks also makes cute personalized outfits! 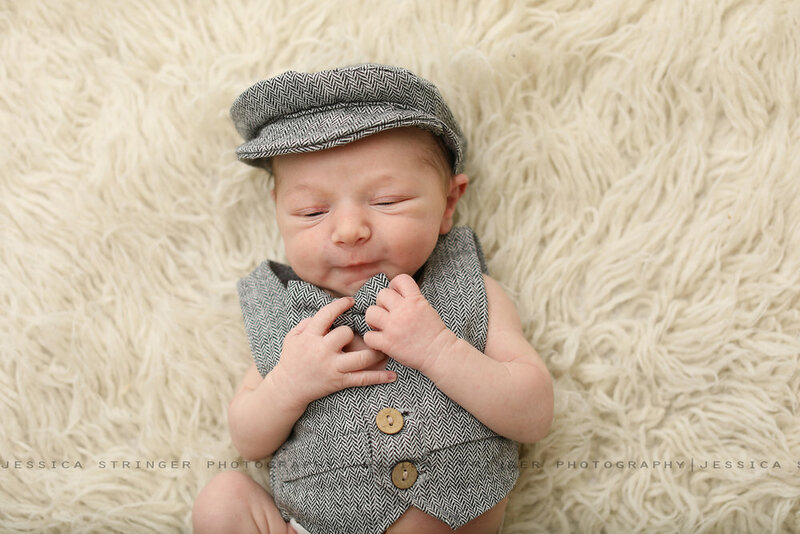 Such an adorable family, love the outfit mom brought for her little guy! Check out some of my favorite images from Deans session... 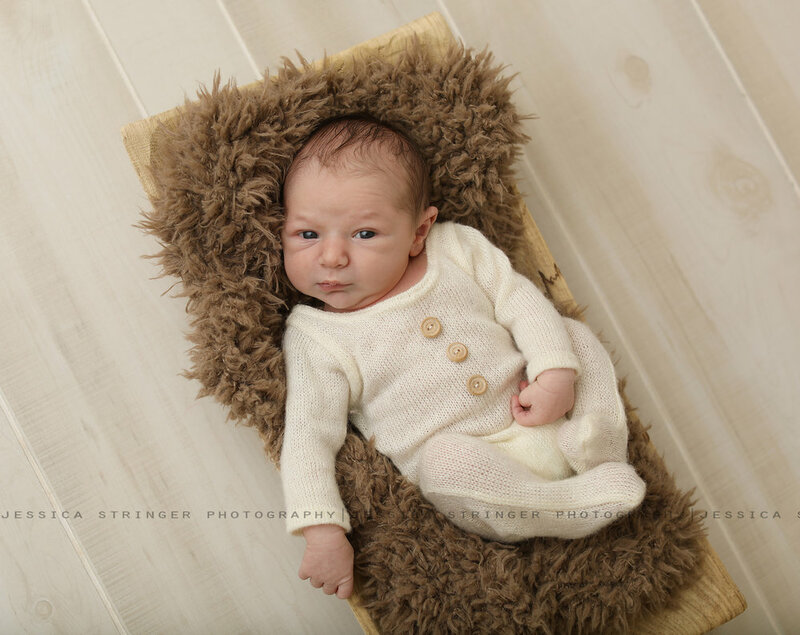 He was so content during family photos and slept the entire time during the posed portion, so we were able to get an awesome mix of photos! 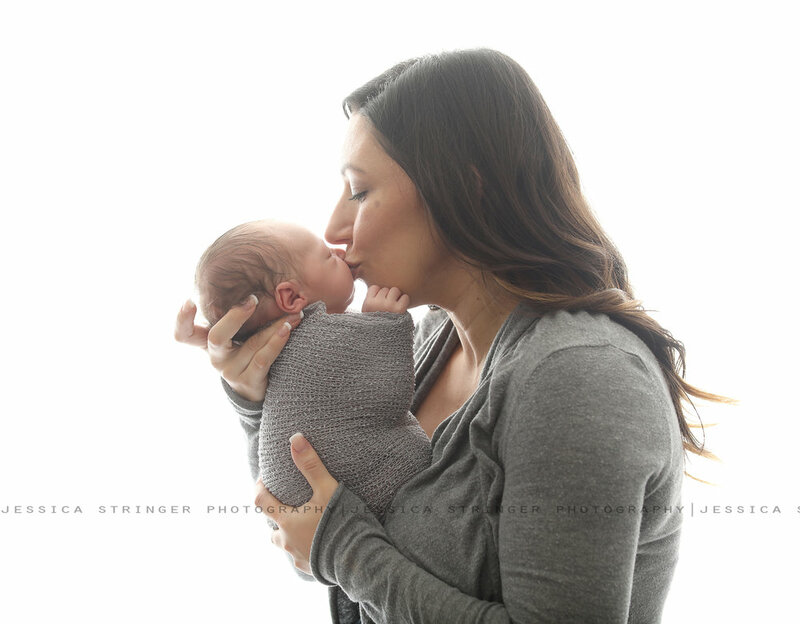 Jessica Stringer Photography specializes in posed newborn portraits, baby portraits and 1 year/ cake smash photos. Serving the greater Rochester NY area. 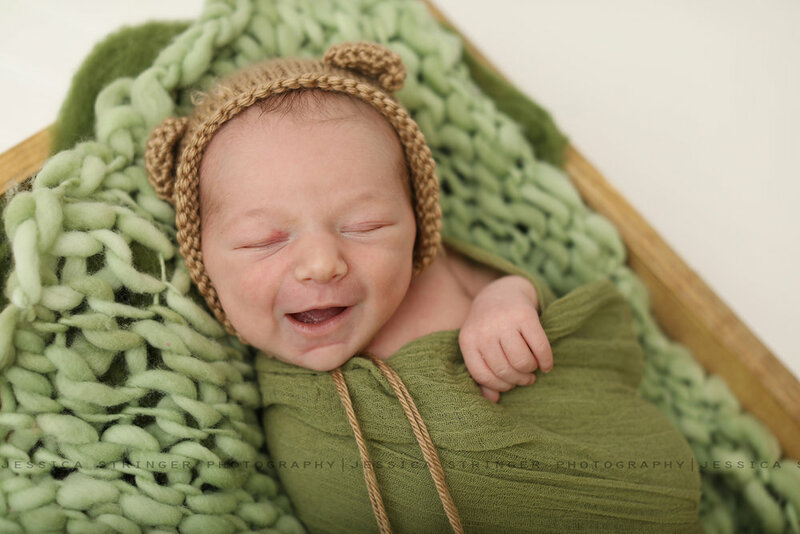 Here is a peek at a few of my favorites from his session. had to sneak in a picture of just big sister too! 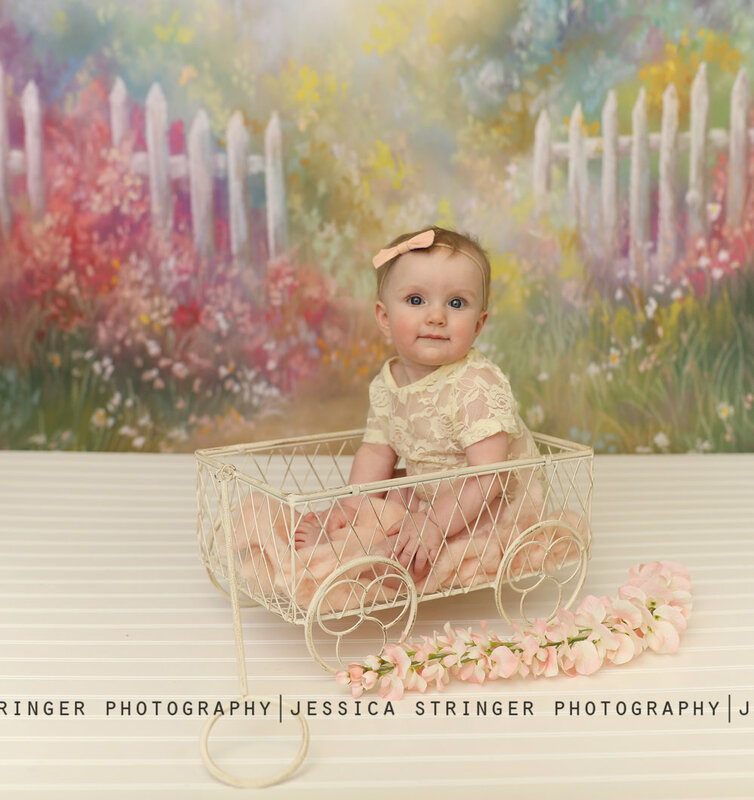 Jessica Stringer Photography specializes in posed studio portraits serving the greater Rochester area and specializing in Newborn, baby, first birthday, cake smash and milestone family photo sessions.